In a world where time travel is possible, but has not been invented yet, would travelers from the future come back to prove it exists? Surely, they would bring that technology back in time to let the people of the past use it? I have four theoretical explanations so far, can anyone explain them in more detail, or provide other possibilities? The people decided to ban backwards time travel to prevent mass panic in the past, or to prevent possible paradoxes. The people in the future went back in time to an alternate past. (Similar to the Many worlds interpretation but with time travel). The people come back in time to give the people in the past new technology, they then jump forward in time to see how humanity has progressed using this. The result is that the future they return to is different to the one they left. They cannot go back in time because it has already happened, and therefore they can only go forward in time. In all probability, we, 21st century barbarians, will not be very well loved by our 23rd century descendants. Non-historians of that age will probably group us together with the generations of the late 20th century, and refer to us collectively in their high-school level history courses. We are the generations who baked the earth and poisoned the seas. We wiped out thousands of animal species and held the world hostage for almost a century under the threat of nuclear or biological annihilation. Our insanity almost brought about human extinction and led to the Second Dark Ages, from which they are only just recovering. "You want to give our time travel technology to those mad men? ARE YOU NUTS? Leave them in the past where their damage has already been done. We don't need them coming up here to further screw up our present!" In the film Primer, there was a time travel machine that could only jump as far back as when it was first turned on. This puts a practical limit to how far back you can jump to the point where time travel was invented in the first place. 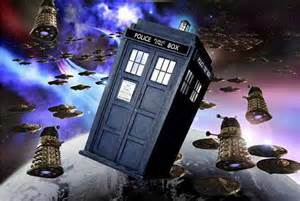 Here's another option that is often forgotten: Time travel might need an exit system available at the destination. Since we don't have an exit system in our time, time travellers cannot visit us. For example, time travel might be done through a wormhole whose two ends are shifted in time relative to each other, so if you enter one opening, you come back through the other opening, say, one year earlier. Going back several years would work by passing it several times, and going back is done by passing it the opposite way. Then of course you only can travel to times after that wormhole has been established. Here's a second thought that occurred to me: What if the time machine doesn't travel with you? Think of the Star Trek transporter: If people are beamed to the surface of a planet, the transporter doesn't travel with them; it remains on the ship. If they couldn't ask the people on the ship to beam them up again (say, if the transporter could only beam them away), and there were no other means to fetch them back (like shuttles), they would be stranded on the planet. In a similar way, a time traveller that comes to our time would be stranded in our time; we simply don't have time machines to send him back into his time, and probably don't have the ability to build one in his life time even if they'd bring the plans with them, nor the energy required to operate it. Which would be a strong disincentive for anyone to visit us, unless he actually wants to live in our time — but in the latter case, he'll probably not tell us that he's a time traveller, as that will be counter productive for his plans. They are able to travel to the past, but are unable to alter it. This includes showing off their time machines or other future technology or knowledge, or anything else that might remotely change the progression of events. This is the Novikov self-consistency principle. They have come back and told us, but their influence is retroactively expunged by other time-travellers charged with maintaining a consistent past. @chrisj hit on the grand problem of time travel: you have to travel in time and space. I'd love to expand on all the ways this ties time travel to space travel. The surface of the Earth is rotating at 0 to 465 m/s depending on your latitude. Fortunately momentum will be conserved (it must otherwise that would imply there is an absolute rest state for the universe) so when you jump you will also be traveling at that speed. However you'll be somewhere else. Even jumping 1 second back will place you 465 meters away... possibly in a brick wall. This is the least of your problems, because this assumes the Earth is standing still. The Earth is moving around the Sun at about 30,000 m/s. Now if you jump back in time 1 second you'll be 30km away from where you started, probably either 30km inside the Earth or 30km in the air. Not good, but with some careful calculations you could construct a plane or spaceship or something? And if you want to jump back years you just make sure to jump when the Earth is in the same spot in its orbit. I have bad news. The Solar System is rotating around the center of the galaxy at 220,000 m/s taking the Earth with it. Now if you jump back one second you'll be somewhere between 240 km and 200 km away from where you jumped, depending on which way the Earth was moving in its orbit. That's bad, but a spaceship can still fix that, right? 1,388,534,400,000 km or 1.4 trillion km or 1.4 x 10^12 km or 0.147 light years. That's ok, your time machine is also a spaceship! You can fly back to the Earth. And you're in front of the Earth, so it will catch up to you! Well, I have some more bad news. You came out in front of the 2016 Earth, yes, but you are continuing to move at 220 km/s around the center of the galaxy in the same direction as the 2016 Earth (the difference in angle is so slight it does not matter for rough calculations). The Earth will never catch up to you. You're going to have to fly all 0.147 ly back to the Earth. Basically your time machine also needs to be an interstellar space ship. Maybe time travelers have visited us. P.S. There is a version of time travel where this is not a problem. Instead of jumping from one point in time to another, you instead speed up time. Now you are passing through every point in time. This means you are subject to the forces of gravity and held in place on the Earth. H.G. Wells' The Time Machine and the time machine in Futurama seem to work this way. Ever noticed how people in time travel stories mess everything up? And then somehow by the skin of their teeth manage to put everything back to rights? Things probably don't actually work like that. About half of the time the calvary doesn't arrive in time, the answer to the riddle fails to pop into the hero's head, the match doesn't light, the green wire blows up the bomb. Time travel gives people infinite chances to mess everything up. Each chance to destroy the world plays out instantly as time travel is invented -- time travel takes all the possible spins of Russian Roulette and plays them at once. The moment you invent time travel you fork a possible universe off, do your messy business, destroy everything and the only possible universe that still exists is the one where you didn't. In any universes where time travel is invented the world is destroyed instantly. The fact that our world still exists can be taken as proof that we're on one of the few possible timelines where time travel doesn't, will not or cannot exist. Just because they can doesn't mean they will. Most people have phones; why do they not call people in other continents to tell them about their phone? Many people have cars, why don't they drive to places that do not have cars? They don't care about people from the past. They are not allowed to give people time travel technology. Let's suppose time travel allows you meaningfully alter the past. By jumping back in time you're erasing the future you came from, leading to the good old fashioned grandfather paradox. Let's just sidestep that - You're physically in the past, so let's just assume you're now part of the past. Kill Hitler, save Lenin and Franz Ferdinand, do whatever you want. You've now altered the time-stream such that the invention of time travel most likely happens at a different moment, if it happens at all. If the new inventors of time travel jump back the same thing will happen, either erasing you if they jumped earlier or erasing their own discovery if they jumped in after you. If one of these jumps alters the timeline so that time travel isn't discovered, then it'll stay that way forever. If anyone from anytime can travel to any point in the past, then there's effectively an infinite chance this has happened. In the same way that people say it's statistically certain we live in a simulation, I say it's statistically certain we live in a universe were time-travel was permanently un-invented. Maybe time travel doesn't even send you back in time - Maybe it just lets you see the past exactly as it was, like a kind of reverse Minority Report. I don't really have much to say about this one - It avoids all the problems of causality because it's non-interactive, but aside from perfect reconstruction of the past it's pretty dull. Great for documentaries, bad for trying to hunt dinosaurs. I think there's something subtle missing from the "how do you account for Earth's motion" explanation: which reference frame does your time machine use? Sure, the Earth is rotating, but that's relative to the Earth's center. It's also orbiting the sun, but that's relative to the sun. That's also orbiting the galactic center, but that's relative to the galaxy. The galaxy is moving through space relative to other galaxies or relative to the CMB. So which reference frame does your time machine move relative to? How does it establish that reference frame and track it through time? Reference frames are sort of arbitrary, you need to tie them to something physical. And maybe that's how you resolve the problem. Maybe your time machine isn't a vehicle, it's a portal and a portal needs two ends. Only the two ends aren't separated by space, they're separated by time (or both). So why aren't time travelers coming in from the future? Because we haven't built the time machine yet. Just as space expands, the dimension of time expands as well, the process of which we perceive as the passing of time. We are at the very edge of time, any new moment that happens hasn't existed before it happened. History is the coordinates of time we leave behind. As the progression of time only happens because of the "pressure" that the past exerts on time, everytime you travel backwards in time, you collapse the present; once you travel back, the time you have travelled too is the new edge of time (so, no travelling back to the future). [For added weirdness: Maybe the collapse only happens locally. When you travel back, you only reset those parts that you have an effect on, causing this part of spacetime to be out of synch with the rest of the universe]. There are no travelers from the future, because the future has yet to happen. Time travel to the past requires both a sending device in the future and a receiving device in the past. Without both in place, no backwards time travel is possible. It could be that no stable wormhole will form, or attempting travel without a receiver will always result in the traveler being atomized. No matter how far technology advances, nothing is able to overcome the need for a receiving device. Thus the earliest time period to which a time traveler can travel will be the first successful invention of the time machine, which, of course, hasn't happened yet. This means that whoever invents the first working receiver will be inundated by travelers from innumerable points in the future who've come to witness the birth of time travel, and/or the earliest possible era they can travel to. So, if you invent a time machine, make sure you have a lot of receivers built before switching any of them on. Or don't ever tell anyone or record anywhere that you made one. Only a few attempts at backwards time travel were ever attempted throughout all of (future) history. Some were successful, but for one reason or another they always seemed like catastrophic failures from the sender's perspective. No one ever returned or sent back data, and no one managed to leave a clear indicator to the future that they had succeeded. So time travel was determined to be impossible, and every few thousand years when some nut-job tried again, the same basic result occurred, keeping time travel in the "impossible" category. Each trip back in time actually creates an alternate universe, with the original universe continuing to exist. From the original universe's perspective, time travel is unsuccessful and is instead a way of destroying matter and energy. We are in the original universe, so no time travelers have arrived in our universe because they actually arrive in an alternate one. The alternate universe's history is identical to ours until the moment a time traveler arrives in it, and which point the events begin to diverge. Backward time travel creates a parallel timeline where it happened, the prime timeline remaining untouched. This prevents paradoxes, it also means that the primary timeline can never have examples of backward time travel. It also means that you can never go home, never undo the damage you've done, only get slowly further and further away from the world you knew. Time travel is only possible as far back as the first implementation of the technology. The best known of these being under the wormhole theory. Which allows you to create wormholes for time travel but you can't go back to a point before you created the first wormhole. It happens all the time, but my mate says the government covers it up. I think this needs no further comment. What has been has always been from your point of view. The one remotely plausible mechanism for time travel is through "frame dragging" with a massive rotating object. The purpose built device is known as a "T machine" after Frank Tippler, who first proposed it, but it may be possible to have a similar effect using a rapidly rotating neutron star or black hole. There are a number of different assumptions you can make (and since no one has a working T machine to test it on, many of these ideas are equally plausible). Number one: you cannot go any farther back in time than the creation of the T machine in the first place. Since we are talking about an artificially maintained cylinder of neutronium rotating at nearly the speed of light, this isn't a project that is going to be carried out anytime in the near future (or at least our near future). Number two: moving into the past or future creates a new "timeline", and this timeline simply sees you start spiralling around the T machine and vanishing, never to return. Number three: Since travelling in time is essentially travelling to "elsewhen", you have left our universe. This is related to number two, since there is no guarantee that the tipped light cones will actually be pointing back to your starting point. 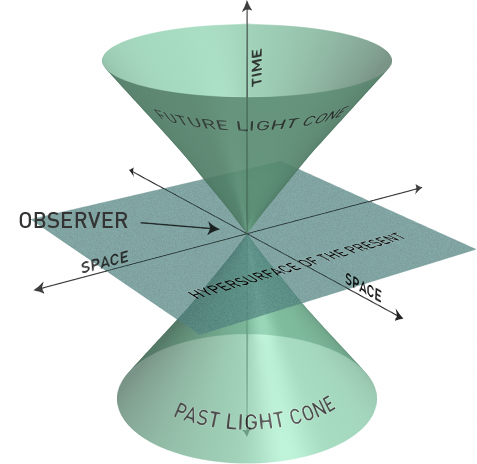 Even in the unlikely event that your light cone is pointed back to our universe, it might not be pointed back to our region of space, or to our current time. Popping back in existence in our universe one billion years in the future or one billion light years away has some obvious problems for the time traveller. Finally, most of these ideas are based on the assumption that you can equally access the T machine after travelling through to "otherwhen". 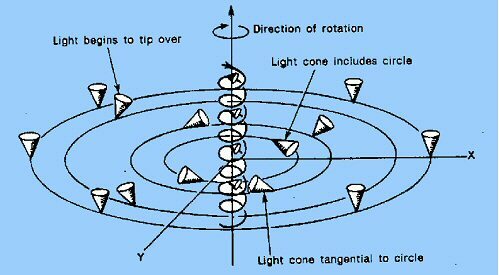 Passing through the field of tipped light cones and emerging in an empty universe where there is no corresponding T machine is going to be a huge problem. An option that has not been mentioned in the main answers (only found in the last one by colmde, when I thought it would not have been raised) is that such time travel discovered in the far distant future may not allow to travel back in time to where we are now. Probably not due to physics laws if it is able to travel back in time, but due to economics. So, traveling back a week, is affordable to almost anyone. Traveling back a month, would be a severe hit to your economy but generally doable. Traveling back some years is something only governments or big corporations can afford. Traveling back hundreds of years, you would need the energy of dozens of suns to power your travel machine, thus it is "impossible" even though time travel is allowed and routinely performed in this universe. Actually, it is uncommon that it would cost the same to travel back 1 day than 100 years (but I don't know the details of the time machine that is discovered in that distant future). Moreover, the power needed to travel back probably isn't linear to the time traveled but likely quadratical. Because you can't interact with time, in the general sense. Time travel isn't like going to Disneyland and stading in line for all the cool rides, arguing with the guy that cut in front of you, or sweating future sweat all over the past. It's more like going to an animated wax museum and watching the same script play out over and over and over again - you can change perspective, pay attention to this or that, but you can't change any of it. Future time travelers use the technology to study the past for what it was and not how it is portrayed by biased writers. In this way, future time travelers are able to help future soceities learn from the past's mistakes and truly make the future a better place. If altering the past is possible then the means to do so will never be discovered. The thing is, if time travel is possible someday someone will tamper with the past. Somebody else will tamper with the past and so on. The only stable state is the one in which the time machine is never discovered. Thus any observer in a universe with a time machine gets reset out of existence and thus all observers see no time machine. After inventing this technology, they tested it by going back to a point that is still in our future, activated some paradoxes, and wiped themselves out before they could send the information, people, etc. farther back. Alternatively, they did figure out how to send information back in time, but they used quantum entanglement and other such effects to do it, so we have to wait until we've built the receivers for those messages before we notice. Analogously, we can send a radio signal deep into a forest, but if there's nobody in there with an appropriately constructed receiver, they won't notice the information being sent to them. The timeline can only sustain, at most, one time traveler, and he's not sharing. 1.) It will not be humans as we know them now that develop time travel. It will not be we who reach Alpha Centauri and the other nearby stars. It will be a species very like us, but with more of our strengths and fewer of our weaknesses, more confident, farseeing, capable, and prudent. I think the same concept applies to time travel. We're quickly approaching the singularity and as such, people will either become exceedingly enlightened and abandon much of what once made them such petty creatures or they will cease to exist. The "humans" (more likely to be cyborgs) of this future will understand the long-reaching effects of their actions and won't want to interfere with the past if it might cause unforeseeable consequences to the future. It can't be said that humans have passed the Great Filter yet. We're still living in tumultuous times. We still might wipe ourselves out. No humans in the future means no one to come visit us. As others have mentioned, it may be the case that alternate timelines exist or branch when someone tries to change something in the past. This prevents time paradoxes. As others have mentioned, it might be the case that time travel requires receiving devices that we haven't developed yet. It's easy to calculate where the Earth will be 200 years from now, so that won't be a problem, but no device to travel to might be. Maybe time travelers can travel to any of an infinite number of time lines. the chances of one landing on our time line is infinitesimal. There are trillions of years for them to travel through and trillions of universes, but maybe only a few time travelers so far. The odds of them showing up during the last 5,000 years of our recorded history out of the trillions of years that our timeline will exist are very slim. There was a short story by Larry Niven named "Rotating Cylinders and the Possibility of Global Causality Violation", inspired by a mathematics/physics paper of the same name by J. Frank Tipler. In the story, archaeologists investigating the artifacts of an extinct alien civilization have discovered documents describing the theory of these time machines, along with at least one incomplete prototype. One of the characters theorizes that the universe itself somehow acts to prevent the activation of any such devices, in order to prevent any violation of its physical laws. In the instance of the extinct alien race being investigated, I believe that the sun of their star system had gone nova before they could complete the device. We are already living in the end product of time traveler meddling. It didn't go so well, so they stopped doing it. Mostly. As for why it isn't widely known, please - be my guest. Start telling people. I am going to address the second option on your list, Many Worlds, in more detail. In my opinion, it is the only physically-sound explanation for how time travel could exist while no effects from it would be visible. That said, Many Worlds is itself a bit of physics-woo, so make of it what you will. The basic concept of Many Worlds is that for every possible outcome of an event, the universe splits, and both (or however many outcomes are possible) occur. It is closely related to the concept of Quantum Immortality, which comes out of the application of Many Worlds to Schrodinger's Cat. In that thought experiment, a cat is left in an undermined state inside a box, either alive or dead. The primary issue is that, if the cat is in an undetermined state, what does the cat perceive before the box is opened? Many Worlds suggests the cat experiences both continued life and death; Quantum Immortality is the suggestion the cat would merely experience continued life, thus becoming immortal. This is related to time travel in that it suggests every possible event, no matter how incredibly unlikely, occurs. Considering phenomena such as zero point energy, where probability is the main factor preventing absurd random occurrences (and entropy, the addressing of which is beyond this answer), the word "possible" can effectively be removed from that statement: every event occurs. Now, imagine some time traveler returns from 2222 to now. Let's presume the time machine comes with them, for the sake of discussion. What is the probability that a time machine and a time traveler appears in your front yard in the next hour? It's insanely - nearly impossibly - unlikely. But following certain conditions and making certain assumptions, it is possible for that to happen. Meaning in some universe, it must happen. Now, there is an issue with this, and it is where the cat returns. From your point of view, the probability of that occurrence is so vanishingly small it is easy to ignore. People and time machines do not just materialize out of thin air. But the probability from the time traveler's point of view is substantially higher. If the trip does not fail and he is not killed in the process, his only option is to appear in your front yard. It's worth pointing out this would suggest probability can be "localized" to a given person. Again, that's well beyond the point I am making. Because of the difference in the probability of outcomes between you and the time traveler, we end up in a case where the time traveler is effectively routed to a specific branch of time where he and his machine popped into being. You and I never experience this because it is so insanely unlikely that just in a pure probabilistic sense, we end up in some other branch of time. However, at least some number of you in other branches of time do see the time traveler. There's just many more of you that do not experience a time traveler appearing in their yard. It is also worth pointing out this would mean temporal paradoxes are actually impossible to form, since upon going back in time, the time traveler would be entirely decoupled from their own origins. They effectively just spontaneously came into existence remembering "their" future. So to summarize all that physics-woo, the Many Worlds interpretation applied to time travel would suggest it is merely very unlikely we end up in the same universe as any given time traveler. It's not impossible, but so insignificantly unlikely we can go about our lives with it never actually happening. Anyone arriving from 'not now' (either direction) would, by so arriving, automatically create an alternate timeline to 'contain' them. 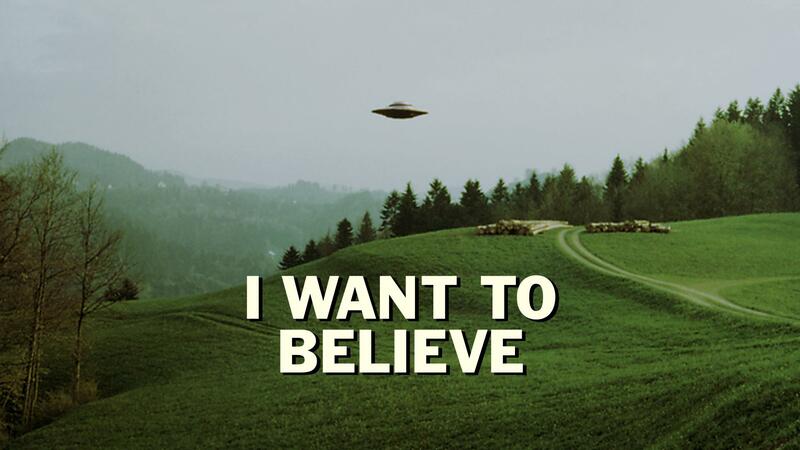 So there may in fact be alternate histories in which people are aware of time travelers. But we are all stuck in the original timeline and never get to see anyone arrive. Time travel requires you to specify a time and a location. As you would guess, specifying an exact location is quite important. If you appear 100 meters in the air, you die. If you appear 2 meters underground, you die. if you appear on a wall, you die. Would you risk it? A time machine can't be expected to know what it means to land "in someone's back yard", it needs exact coordinates, with the axis starting from, i don't know, probably the center of the universe or something. As soon as we start recording exact coordinates of safe landing spaces on earth, people from the future will appear. "I'll just go around the century again, I can't find a spot"
It's very simple. Time Travel only goes one way. It's called cryogenics and right now it generally has a 100% fatality rate. The problem with this question is that it makes a faulty assumption. It assumes time exists. A better approach is to ask oneself, "What is time?" Simply put, time is perception. It's possible to perceive time at an incredible rate. Don't believe me? You're living proof. To something like an idea or concept that stands outside of the universe's perception, the all of reality might happen in an instance. It isn't slow, it just perceives events at a different perception. Another aspect is causality. Humans evolved in a way to create assumptions. We assume a beginning and an end. This instinctively creates a range. Here's another fundamental flaw. The universe isn't a dog or cat. It's timeless and infinite. It's not old, because that would require that it didn't exist at some point. Scientist busy themselves trying desperately to prove a beginning. This is because the other option is infinitely terrifying. The universe is in a way, its own cosmic horror. It defies reason. It is the absents of reason. In short, it's hell. Time works along the same misconception. If time existed, it would mean that at every point that the universe exists, there is a backup. The problem with this, is that there isn't a place to store something like that. Infinite isn't a number. It's a concept. It's something that isn't big. It just is. Causality is a human construct. If we didn't have memories or our memories were a jumble, time wouldn't be a concept at all. Instead of thinking of time as something to be traveled, it's more accurate to realize that there is just motion. We build our own time. The universe won't be bent to anything's will. Even something like an elevated idea can't undo an event. When a lightbulb breaks, you can only replace it. So in short, time doesn't exist. A lot of people are making a whole lot of money creating a comforting lie. The sooner the elites stop looking for comfort the sooner we can get back to fixing real issues. P.S. I'm sorry if this seems like a downer. I'm not trying to insult anyone. If this is pure science fiction speculation, then I have missed the point entirely and I apologize. Actually, the very first time traveller started out now, in 2016, going back some twenty years. When he got there, they asked him who was running for president in 2016. When he tried to tell them it was Hillary Clinton versus Donald Trump, they put him in a quiet room where he couldn't do anybody any harm. ...would travelers from the future come back to prove it exists? Answer 1: Why would they bother, what possible motivation would they have for this. They know it is possible and exists they wouldn't need to prove it to the past. Response: People ban lots of things and still people do those things, so most likely some people would still do that thing. The people in the future went back in time to an alternate past. Responses: Personally I've always viewed alternate pasts as a hack trope of time travel plots. I comprehend alternate futures, but the past seems rather fixed from the POV of whatever when you are. Besides if this were the case then it doesn't particularly matter. The people come back in time ... then jump forward in time... they return to is different to the one they left. Response: This is basically the classic many worlds/alternate timelines trope. Again if their present changes, it is still our relative future so no big deal from our POV. They cannot go back in time ...therefore they can only go forward in time. Response: So basically.... they are us. Traveling forward in time and never back. But have you considered that perhaps they have and do. Maybe they have been here maybe they have marched up the steps of the white house and declared that they are from the future and presented us with a time machine. Maybe they've created countless paradoxes. Here is the funny thing about time travel. We do it all the time without thinking about it, albeit in one direction. If we could turn around and go "the other way" we would un-perceive things going in reverse. Funny thing about this is that in-fact there is no reason to believe that we are in fact going in the "right" direction we may live in a back-wards universe with crazy things happing like, gravity pulling things together, light coming out of stars and and people being "born". Now...if we could jump back or forward in time but then continue forward in time at our normal temporal pace.. ah this would be what we think of as time travel, with that concept, there are basically four primary possibilities I can see. 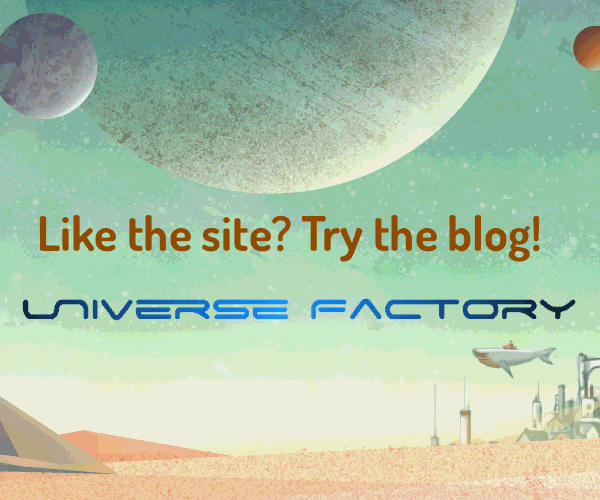 There is some mechanism outside of the known universe to prevent paradoxes from forming. Any universe in which time travel is possible is a universe that will ultimately destroy itself before it exists. Personally I like this last option... unfortunately this also means that the first option is also true. So the point of all this is that. In a universe where time travel is possible there is no reason to believe that we would know it when we saw it even if it were sitting right in front of us. There's a law that says it's illegal to travel into the past. Governments fear that even the smallest time travel may alter the present and cause unforeseeable consequences. The time travel technology is in the hands of so few people that it's possible to enforce the law.